In my Washingtonian piece about traffic gridlock, I mentioned that automatic cars that do the driving instead of easily-distracted humans could reduce congestion, and that Google is developing one. At Google, I am working with a world-class team of engineers to turn science fiction into reality. Google’s vast computing resources are crucial to our technology. Our cars memorize the road infrastructure in minute detail. 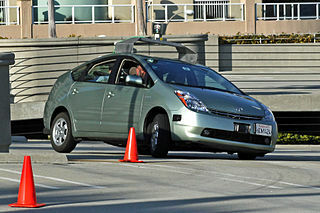 They use computerized maps to determine where to drive, and to anticipate road signs, traffic lights and roadblocks long before they are visible to the human eye. Our cars use specialized lasers, radar and cameras to analyze traffic at a speed faster than the human brain can process. And they leverage the cloud to share information at blazing speed. Our self-driving cars have now traveled nearly 200,000 miles on public highways in California and Nevada, 100 percent safely. They have driven from San Francisco to Los Angeles and around Lake Tahoe, and have even descended crooked Lombard Street in San Francisco. They drive anywhere a car can legally drive. Take today’s cities. They are full of parked cars. I estimate that the average car is immobile 96 percent of its lifetime. This situation leads to a world full of underused cars and occupied parking spaces. Self-driving cars will enable car sharing even in spread-out suburbs. A car will come to you just when you need it. And when you are done with it, the car will just drive away, so you won’t even have to look for parking. Self-driving cars can also change the way we use our highways. The European Union has recently started a program to develop technologies for vehicle platoons on public highways. “Platooning” is technical lingo for self-driving cars that drive so closely together that they behave more like trains than individual cars. Research at the University of California, Berkeley, has shown that the fuel consumption of trucks can be reduced by up to 21 percent simply by drafting behind other trucks. And it is easy to imagine that our highways can bear more cars, if cars drive closer together. 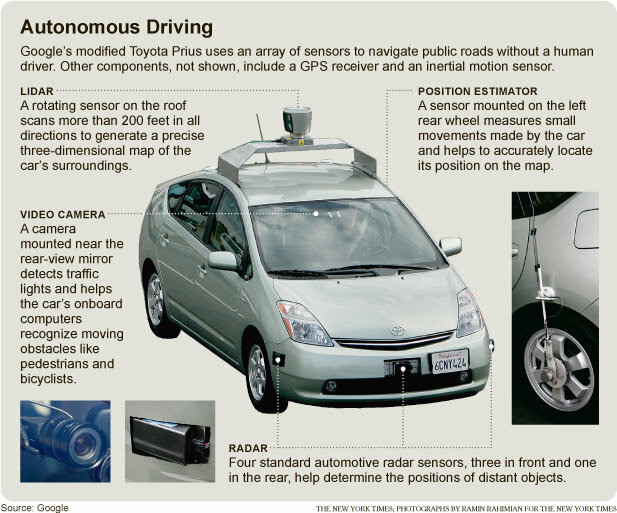 Last but not least, self-driving cars will be good news for the millions of Americans who are blind or have brain injury, Alzheimer’s or Parkinson’s disease. Tens of millions of Americans are denied the privilege of operating motor vehicles today because of issues related to health or age. I like the idea of a car just showing up when you need it, and leaving when you hop out. And reducing traffic and parking congestion would be nice. But I also think it’s critical that we do more to get out of cars, and learn to walk and bike more, as well as use mass transit. If a Google car simply extends the Era Of The Automobile rather than serving as one key piece in the radical transformation of our transportation culture, then I don’t think Google is doing us that big a favor. But it is an excellent example of how technology, if developed and applied with wisdom, holds out hope that we can at least ameliorate some of the worst problems that humanity has managed to inflict on itself and the planet.